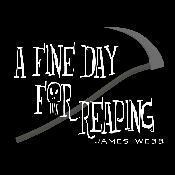 A Fine Day for Reaping (James Webb a.k.a. "revgiblet"; 30-Sep-2007; ADRIFT 4). Download AFDFR.taf from the IF Archive - The story file. A Fine Day for Reaping (archived) - at Baf's Guide. Review by Stefan Donati (Shuarian). Download AFDFRwalkthru.txt from the IF Archive - Walkthrough by the author. This page was last modified on 17 May 2018, at 21:10.